Each of the several dozen SYM Chosen Ones sessions I attended was conducted the same way. Four kids would perform and before each performance the chapter’s vice president, a 15-16 year-old, would make a brief professional introduction. The audience would applaud and the performer would start their five-minute routine. Once completed and after the well-deserved rousing applause, the VP would return and ask for “Goods and Bads”—their code word for critique. When the work is too close to completion, it’s hard to take in the criticism and feedback. At that point, there’s just not enough wiggle room for changes. Instead, Pixar wants to find their work-in-progress sweet spot—that place where the direction can change and new ideas are easy to take in. Published here on October 3, 2012. 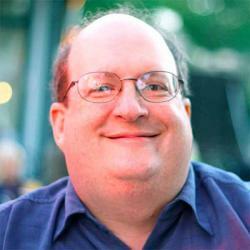 3 Big UX Lessons Ripped from 2012 Tech Headlines by Jared M. Spool Jared M. Spool shares the 3 big UX lessons learned from the top tech headlines of 2012.